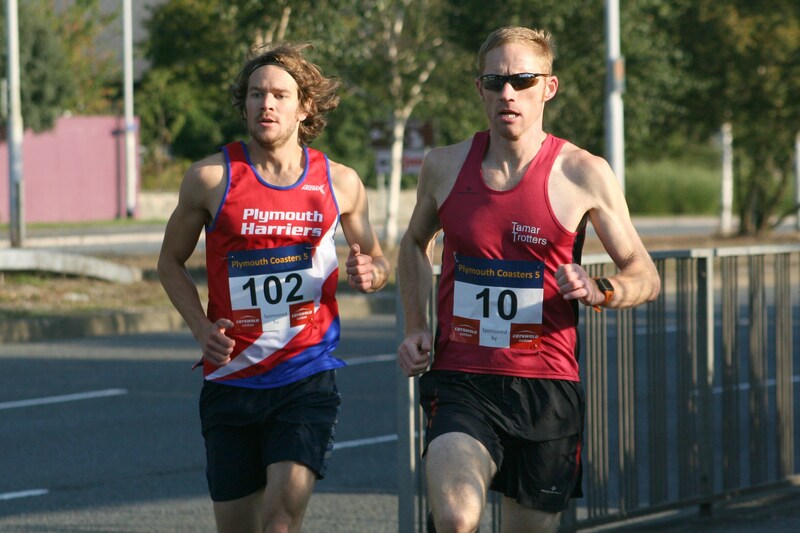 PLYMOUTH Harriers’ Jordan Andrews claimed victory in the Plymouth Coasters’ Five Miler race on Sunday. The event attracted a good turnout, particularly from local clubs Plymouth Musketeers and Plymouth Storm. The race started at Marsh Mills and took runners around The Plym, heading down the Embankment then over Laira Bridge and back through Saltram. Andrews finished 38 seconds in front of Tamar Trotters’ veteran Peter Waumsley. Andrews clocked 27 minutes and 12 seconds, with Waumsley coming home in 28 minutes flat. Those two were quite a way in front of third-placed Christopher Barker, who finished in 29.37. Andrews’ Plymouth Harriers’ team-mate Chris Puertas came fourth and first over-50 athlete in 30.57, with Erme Valley’s Tom Packer fifth in 31.13. It was a successful morning for Plymouth Harriers as Ami Yetton also won the women’s race. Yetton, who clocked 31.39, was seventh overall and was nearly six minutes ahead of the next women, which was Erme Valley’s Elizabeth Coombes (37.10). South Devon’s Gemma Body was just two seconds behind Coombes in third.